Hi All, I am Baron and new to this site. 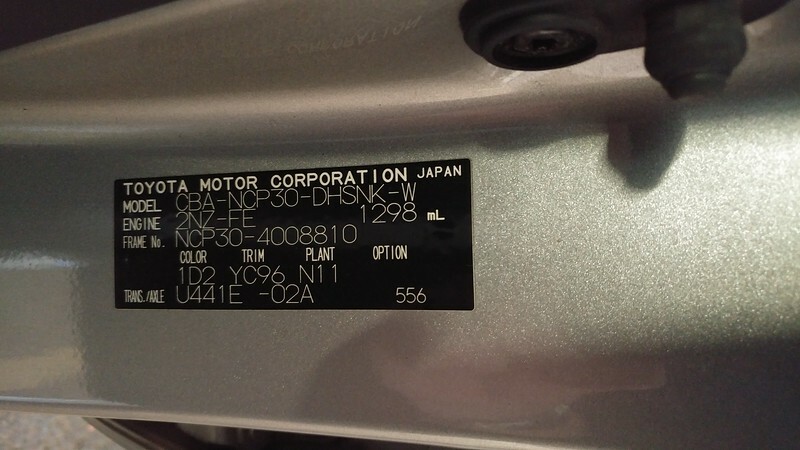 I recently imported a Toyota Vitz 2002 model, into the UK but cannot register it yet because I must change the odometer to read from KPH to MPH. The digital speedo in the Vitz(Yaris in the UK) cannot be made to change from Km to miles and someone suggested I need another speedo from a breakers yard. On buying one from breakers yard, the man there said it still wont work till I get a "speedo converter" . He didn't know where I can get one from. DOES ANYONE HAVE AN IDEA WHAT I SHOULD DO? HAS ANYONE HAD A SIMILAR EXPERIENCE, please help. Many thanks, Baron. Congrats and welcome Baron, can you get us some pics? I like how those JDM Vitz look. Sorry I don't have any advice about the speedo conversion though. No speedo conversion is required on an import of ten years or more of age at the time of submission for its UK registration. I speak as one who has a 2005 bB (another Yaris derived JDM product) and a 1997 Mitsubishi Pajero Mini ( a Kei class 4x4). Both of these have odometer and speedometer readings in KM/H which is perfectly legal and, in my experience, really easy to get used to, even if you aren't fluent in the 0.6217 times table! Cars of ten years + don't need a UK-style VIN plate either, nor do they need anything beyond one or two rear fog lamps to be fitted, these can be single, between the offside and the centre of the car at a maximum of 1 metre from the ground or double, between off and nearside edges, same height rule applies. The Pajero has a single lamp below the o/s/r bumper and the bB has a pair of LED arrays fitted on the rear bumper, one each side. Toyota dealers will help if the independent trade doesn't know the rules at MOT time, or try to find an import-friendly garage as I have found for my MOTs. Differences for imports at MOT are slight, and not any more complex since the new test rules came in yesterday. Importing cars NEWER than ten years is a more complex process as these must be fitted with fog lights to Construction & Use regs rather than simply to MOT standard, plus newer cars need a VIN stamp, some need to have their headlamps changed for EU approved ones and there are a few more details but as most Uber minicabs locally are newish JDM Prius and similar Toyota hybrids, it mustn't be a prohibitively costly process or the taxi guys would surely buy from within the UK. So, Baron, you need to tell the person who gave you this advice about speedo & odometer modification that they're wrong. All you need to do to register your car is take it, along with its NOVA certificate, to a UK MOT test station, have it MOT'd on its frame number (usually found on a sticker inside a door shut on Yaris derivative models - my own bB's frame plate is pictured below) and then, once it has been awarded its MOT pass, the certificate will state the "mileage" as a KM figure and you can then proceed to register the car. I encountered far too many garages that simply didn't understand the procedure with the bB before finding a trustworthy local one (Autominster, Morpeth, Northumberland - well done to them for knowing exactly how to go about it! ), so don't let them wear you down & good luck with this. Last edited by JPB; 05-21-2018 at 02:19 PM.